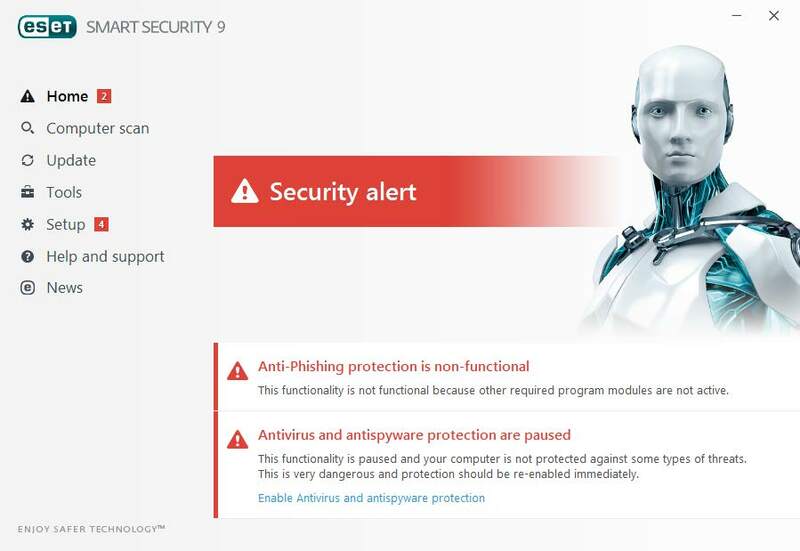 ESET Smart Security Free Download latest version 9.0.386.0 for Windows 32/64 bit. 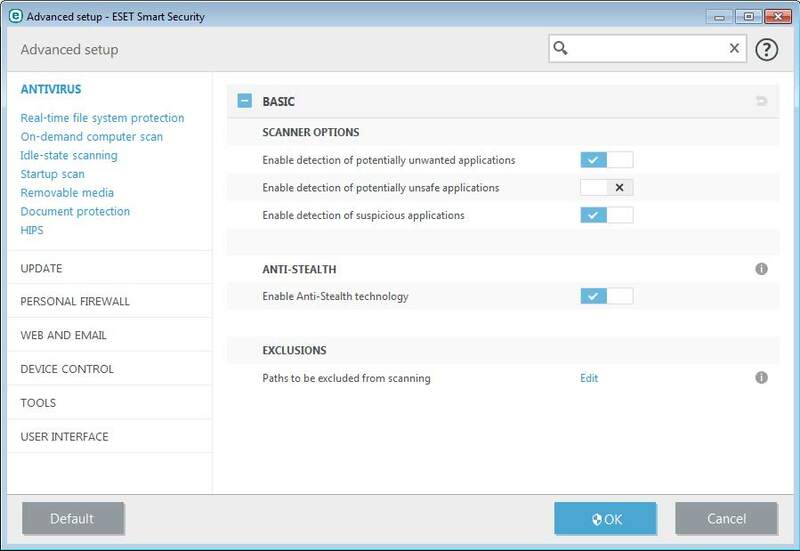 Get ESET Smart Security offline setup, standalone installer. 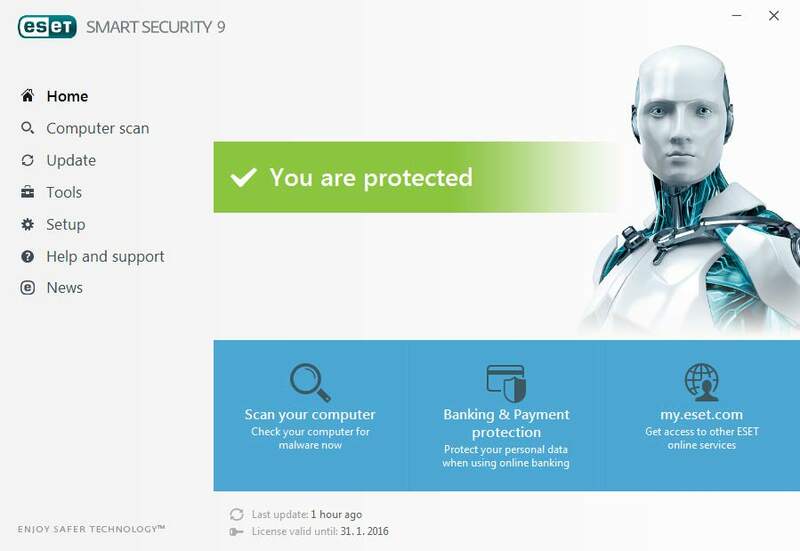 ESET Smart Security is a security software suite designed to keep your computer safe from offline and online threats. The User Interface is similar with the Antivirus Edition, and has buttons to access important components of the application right on the main window. You will also see the status of the protection. The Update tab will show information about virus signatures and program updates. Extra tools are available by going inside Tools and you will find log files, scan scheduler, online payment protection, anti-theft and quarantine. If you need help with any sides of the application check Help and support section. – Green: the right status to have, it means that the computer is protected and nothing suspicious is detected. – Orange: appears when your operating system does not have the latest important updates installed or you have problems with some of the ESET’s modules. – Red: the virus signature must be out of date or the Real-time protection is either disabled or broken. This suite also provides protection against antispam. The Internet is full of email addresses created for spamming users with undesired or malicious data. ESET will filter all incoming and outgoing emails that are detected as spam. Another important feature is the Personal Firewall. All traffic coming and going out from the system is checked for multiple type of attacks. Multiple protocols are protected by the firewall like HTTP, POP3 and IMAP. After ESET Smart Security installation, the Firewall is working on automatic mode, but you can do some configurations to it. The user can create custom rules to allow or deny network and internet traffic coming from certain locations. Antispam module: protection against spam messages coming inside emails. Parental Control: blocks offensive online content to protect your kids. Firewall: incoming and outgoing traffic is filtered. Banking Protection: secure method to do online payments by using a safe browser. Click the link below to start the ESET Smart Security Free Download Latest Version 9.0.386.0. If you have any problems while downloading please leave a comment below. After the page opens remember to choose the “Download through your browser” option to start downloading ESET Smart Security Offline Installer, Standalone Setup.